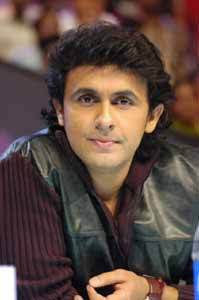 Bollywood playback singer Sonu Niigaam has revealed his desire to organise a musical workshop for fans through a series of posts on social networking site Facebook. "How many of you would be interested to attend a live musical workshop to be conducted by me in Mumbai, will 3rd December be suitable for you? ": Niigaam posted on Facebook. "It will be a free workshop open to all... we'll do it only if we have the appropriate strength, location and time we'll inform you here and the date can be worked out based on majority and our convenience." The singer was overwhelmed by the response from his fans. "Everyone, the response is too overwhelming. I thought this is something that I'll be able to handle myself with my team. But I guess I'll have to take the assistance of some professional friends to manage so many people and a proper venue," the singer posted. The event will not be taking place Dec 3 since professional organisations have offered to give him assistance for the same. "Dear all, workshop not possible on the 3rd... Wizcraft and GIMA (Global Indian Music Awards) have offered to help me out and co-ordinate for a bigger venue, thus the delay," he posted.